New Delhi, March 27: As 2019 Lok Sabha Elections is coming closer, several agencies are working together to help citizens know everything about the polls. 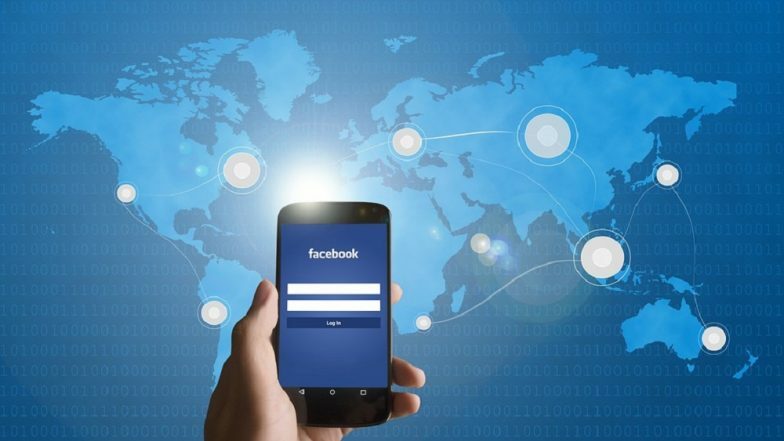 Now, social networking giant Facebook on Tuesday launched two new feature tools called "Candidate Connect" and "Share You Voted", to boost the poll-bound engagement on its platform during national elections. Social Media Sites, Including Facebook and Twitter, to Axe Content in 3 Hours on Election Commission’s Request. The "Candidate Connect" will help people to learn about the candidates in their local Lok Sabha constituency, while "Share You Voted" will enable users to celebrate their vote. Lok Sabha Elections 2019: 87,000 WhatsApp Groups to Target Millions with Political Messaging. The Candidate Connect feature will help Facebook users to know the Lok Sabha Candidates contesting elections from their constituency. This feature will allow the contesting candidate to record their poll manifesto in 20 seconds video and it share it with their constituents. The social media giant will ask a set of four questions to candidates who can then post their 20 response clips to each of these queries. What is Share You Voted? "Share You Voted" will allows FB users to share the fact they have voted, following which photos and from people who have polled will then be put in collage in Newsfeed section. "This will enable voters to celebrate their casting of the ballot and also encourage others to participate in the voting process," the company added in its statement. The feature starting next week, Voters in India will be able to watch videos of Lok Sabha candidates from their respective constituencies. The 20-second videos will appear in Newsfeed, or through a bookmark in the setting section. The social networking site said that questions included in "Candidate Connect" are based on the locally conducted consumer research programmes. Both tools will be available in 12 local languages. Social Media Could Play Decisive Role in Polls? "We have more than tripled the team working on safety and security to 30,000 people, introduced unprecedented transparency requirements for political advertising, improved our ability to detect and remove fake accounts and stepped up our efforts to fight false news and misinformation," said Samidh Chakrabarti, Director, Product Management for Civic Integrity, Facebook. Meanwhile, Facebook had made some important changes in its political ad policy. As per updated policy, the social media giant will provide detailed information about the ad publisher on Facebook in India. The ads will include "Paid for by" or "Published by" disclaimer at the top of the ad.